If The Weed Blog’s traffic is any indication, more marijuana brownies are eaten on and around April 20th than the rest of the days of the year combined. The spike we see to brownie articles is mind blowing. It makes sense though. Before I started growing marijuana and turning my trim into butter, the only time of the year that I would eat a marijuana edible was on 4/20. The rest of the year I would just smoke or vape in various ways. I think it’s that way for most of Americans who don’t live in a legal state. Eventually I started growing marijuana, and so did my friends, and there was a lot of trim out there and people didn’t know what to do with it. Nowadays people turn it into BHO, but back in the early 2000′s when I started growing, people would bring it to me from miles around to turn it into butter. From there they could make it into anything they wanted to. A lot of people have been emailing me this week and hitting me up on social media asking me for marijuana recipe ideas. I always like brownies and cookies, but I can’t eat those all day due to too much sugar. To be able to eat marijuana foods all day you have to mix up some savory items. Below is a list of recipes that I have been accumulating. There’s bound to be something for everyone. With winter approaching, the season is beginning to call for those warm drinks rather than frozen. Put away the pina coladahotchocolate mix and break out the hot chocolate! Except this year, you can have some medicated hot chocolate. This brew is sure to get you through any blizzard that Mother Nature is going to throw our way. If you’re not somewhere that the snow covers for six months out of the year, you can still enjoy this recipe on those colder nights! Grind up the marijuana in a grinder to the finest point that it can get and add it to the water, along with the butter and milk. As always, the butter is a very important step. THC isn’t water soluble and you won’t get as stoned if you don’t add the butter. Keep the water at a minimal boil. While you want the hot chocolate to be hot, boiling the water isn’t good for the THC extraction. Let the mixture heat up for about 10-15 minutes. After you start to smell the almost almond like smell coming from the water/butter/weed mix, get your mug and add the hot chocolate mix to it. Take the coffee filter and place it over the top of the mug. Pour the hot liquid in to the mug to strain out all of the marijuana buds. Stir the chocolate up and enjoy! You can also add some whipped cream and cinnamon if you want. 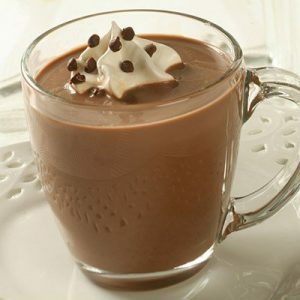 This chocolate drink will keep you elevated for a night so plan on staying in! Like our content? Consider subscribing to our RSS Feed, and following us on Facebook and Twitter! 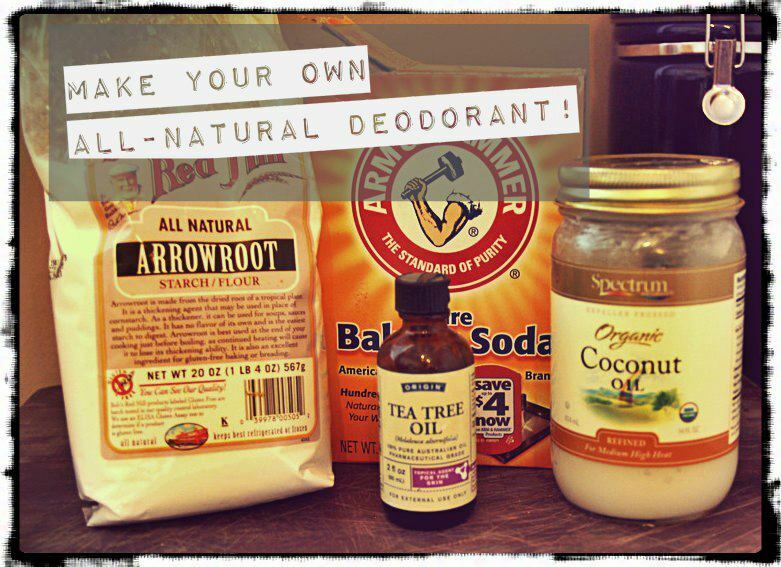 Your favorite deodorant might contain dangerous ingredients that can cause cancer, brain damage, and even liver abnormalities. WHY SHOULD YOU MAKE YOUR OWN OR NOT USE ANY? Parabens: (On the label* methylparaben, ethylparaben, propylparaben, butylparaben or isobutylparaben) These are used in many skin care and cosmetic products. They act as a preservative to discourage bacteria and fungus. Research shows that parabens from lotions and deodorants can absorb into the body and weakly mimic estrogen causing damage to the endocrine system. Aluminum: One of the main ingredients in many deodorants and antiperspirants is aluminum, which actually blocks the body from producing sweat. Aluminum has been known to cause neurological damage and contribute to diseases like Alzheimer’s and Parkinson’s. Aluminum has been found to be able to enter and remain in a human bloodstream for up to two weeks after just one application of deodorant or antiperspirant. Propelene Glycol: is often used in deodorants and is also an ingredient in antifreeze. Factory workers who are exposed are warned of the danger of kidney, brain, and liver damage through skin contact. (NaturalNews) Food Dehydrators are so awesome to have in your kitchen. There are so many healthy treats you can make for your family that normally would be pricey in a store or they contain non-organic foods with preservatives. The dehydrator allows the food to retain 100 percent of its nutritional value of vitamins, enzymes and nutrients. Instead of letting food go to waste, dehydrate and store. Dried foods can be stored in air-tight containers for long-term storage. 1. Dried fruit ~ Simply slice and dehydrate fruits such as apples, bananas, mangos, pineapples, raisins. 2. Dried vegetables ~ Slice and dehydrate your veggies and turn them into chips such as kale chips, carrot chips, and green beans. 3. Crispy nuts and seeds ~ First, soak the nuts or seeds until you see a sprout growing. This increases the nutritional value of the seeds and nuts and they often taste better. Ex. Sprouted sunflower seeds, walnuts, sprouted almonds, etc. 4. Sprouted flour ~ Make your very own sprouted flour by sprouting grain kernels and dehydrating them prior to being ground into flour. 5. Jerky/South African Biltong ~ Slice the meat to your liking and place on trays. If using ground meat, It is recommended to use non-stick sheets or unbleached parchment paper. You can also make jerky out of tofu and even Kombucha SCOBYs. 6. Fruit leather ~ It is recommended to use some sort of non-stick sheet to make removing the fruit leather easier. Simply spread pureed fruit onto sheets on the dehydrator tray. 8. Tempeh ~ Tempeh is a traditional Indonesian food made from fermented soybeans which binds the soy beans into a cake-like form. It is a good source of protein, fiber and vitamins. 9. Natto ~ Natto is a traditional Japanese food made from fermented soybeans. It is a rich source of protein, vitamin K and beneficial bacteria. It must be fermented at 100 degrees Fahrenheit for 22-24 hours. 10. Pemmican ~ Pemmican is a traditional food often made by Native Americans. It normally consists of ground meat, animal fat, dried fruit and salt. (NaturalNews) Food Dehydrators are so awesome to have in your kitchen. There are so many healthy treats you can make for your family that normally would be pricey in a store or they contain non-organic foods with preservatives. The dehydrator allows the food to retain 100 percent of its nutritional value of vitamins, enzymes and nutrients. Instead of letting food go to waste, dehydrate and store. Dried foods can be stored in air-tight containers for long-term storage.1. Dried fruit ~ Simply slice and dehydrate fruits such as apples, bananas, mangos, pineapples, raisins. What’s good Greenies and welcome to another tasty Tainted Tuesday from me, ThisBuds4You. I’ve been pretty busy grinding behind the scenes on HMJ lately. We’re working on some big things around here, be sure to stay in tune with us on Facebook and Twitter to get the latest on what HMJ’s got going on (like t-shirts, wink wink). That being said, I’m finding it harder to get time to get in the kitchen and cook. However, I’m always cooking up something, and this week the crock pot is the business. Mix the cannabis, 1 cup grated smoked mozzarella, 1/2 cup grated parmesan, 8 ounces cream cheese, 1 minced garlic clove, 1 box thawed frozen spinach, 1 jar artichoke hearts, and salt and pepper in a slow cooker. Cover and cook on low for 4 hours.